On Site Gas Systems have a range of products suited for use across hundreds of applications and for business of all sizes. 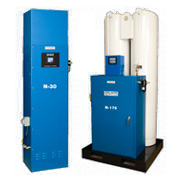 The nitrogen generators we have for sale are custom built for each application to meet the user’s exact purity, pressure and flow requirements. Follow your industry category above to learn more about how the systems can help you and your application. 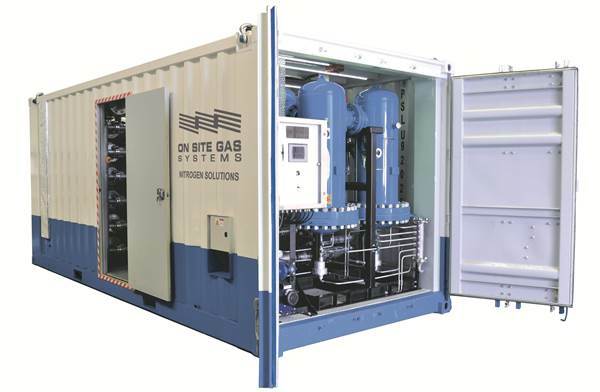 On site nitrogen generation by way of non-cryogenic air separation can be achieved using two methods – PSA generation and membrane generation. 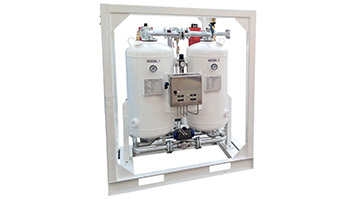 The systems we have for sale offer both air separation technologies so you can be sure you will get best recommendation for your application. With almost no moving parts, membrane based models are an ultra-reliable means to produce the gas on site. These systems are particularly well suited to applications that require less than 98% purity, portability, or both. PSA systems are well suited for applications where it is expected to be in a fixed location or purity requirements are high. PSA technology can reliably generate nitrogen up to 99.9995% and are more efficient at higher purities than membranes are. Having a system on site offers a reliable, on-demand stream to your process while offering significant cost savings and fast return on investment. 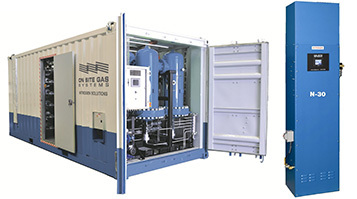 It is the most cost effective means of gas supply available – it can be generated for as low as 3c per m3 – that can be up to a 90% cost saving compared to out-sourced supplies. Payback on equipment is typically less than 18 months so if you are looking for a more convenient, and more cost effective supply, call us today and find out how we can help you. Pick up the phone and speak to our staff by dialling 1300 953 699 for an obligation-free discussion.